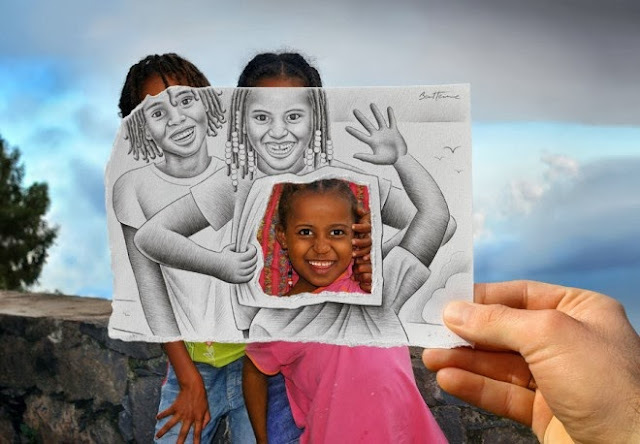 Ben is a Belgian visual artist who was born on June 1983 in Ivory Coast. 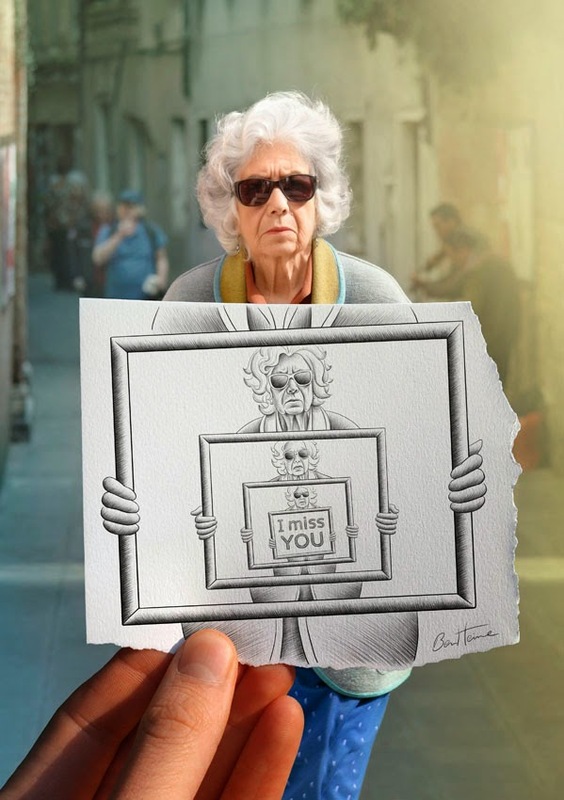 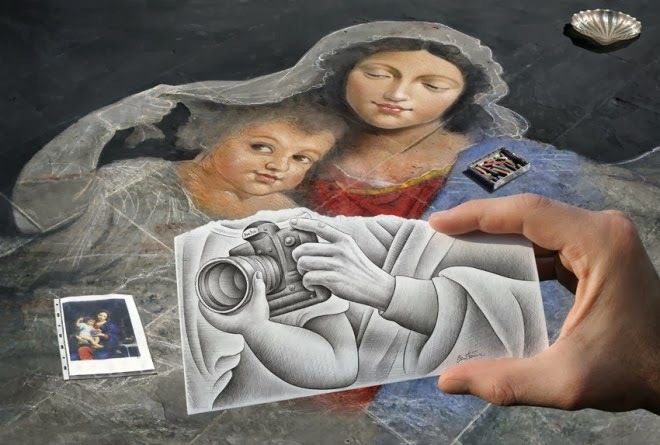 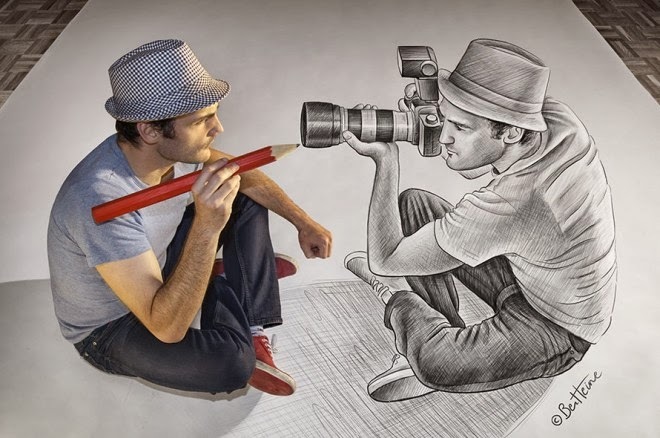 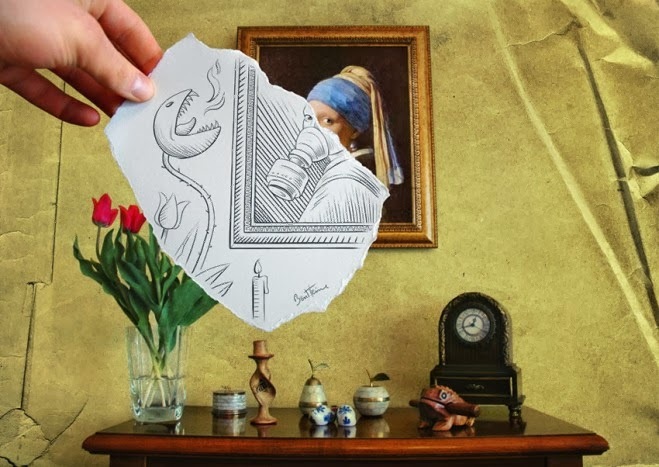 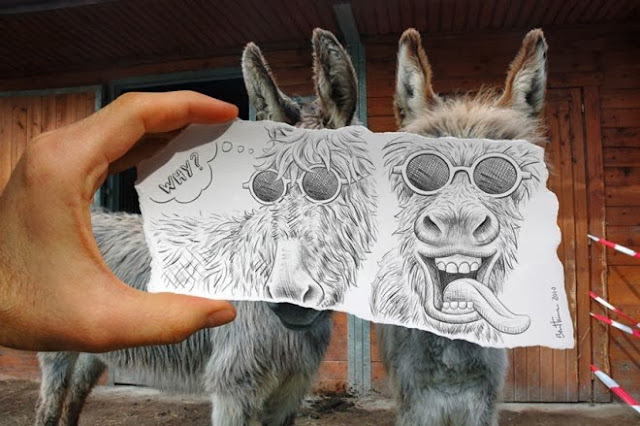 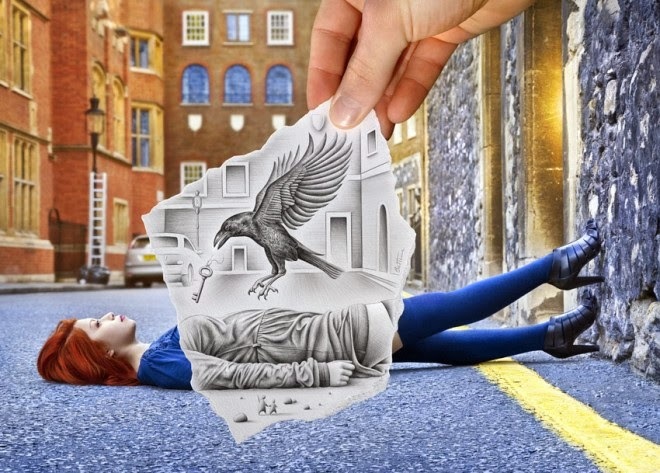 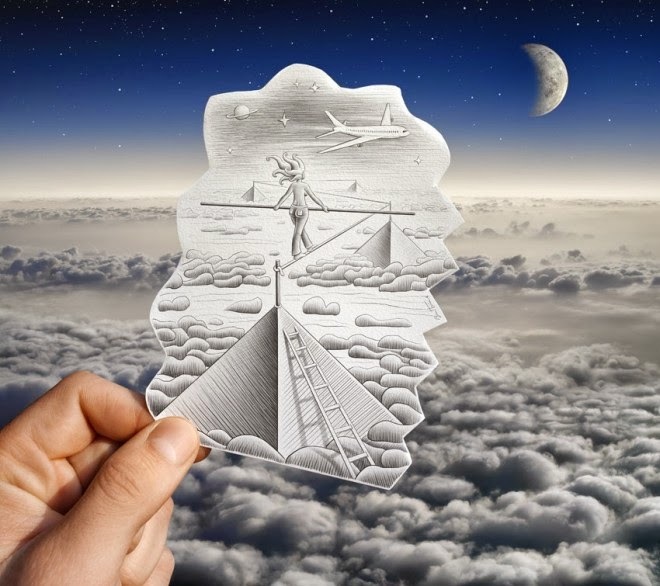 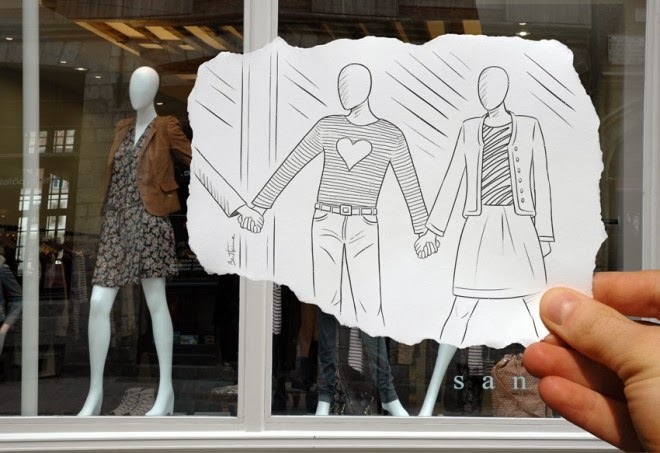 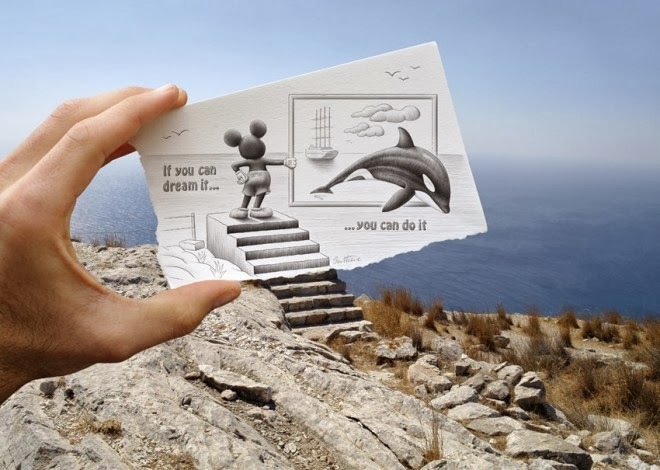 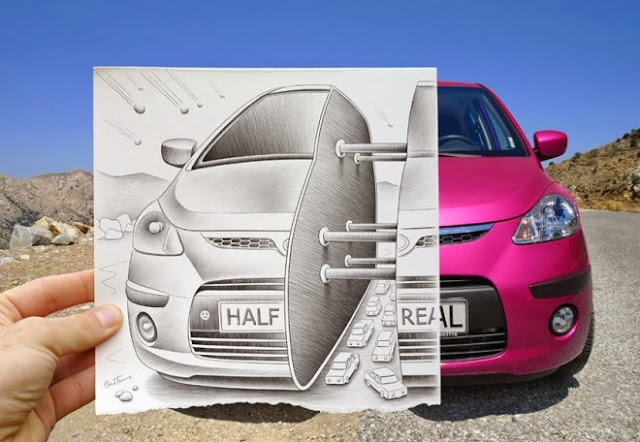 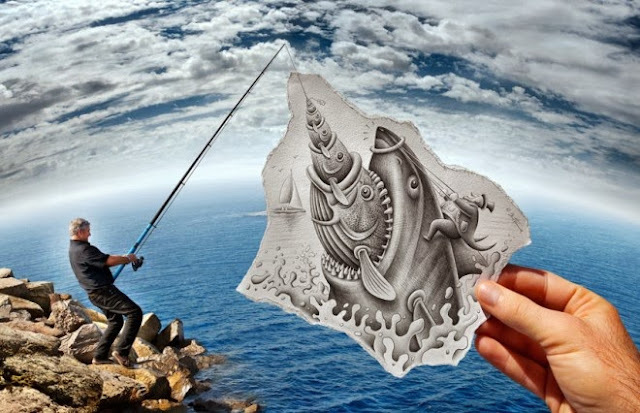 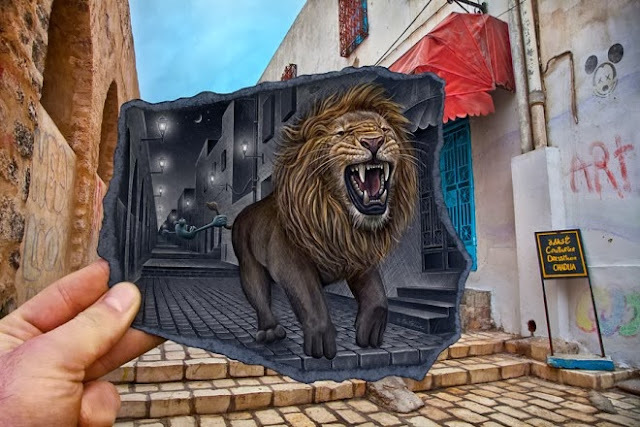 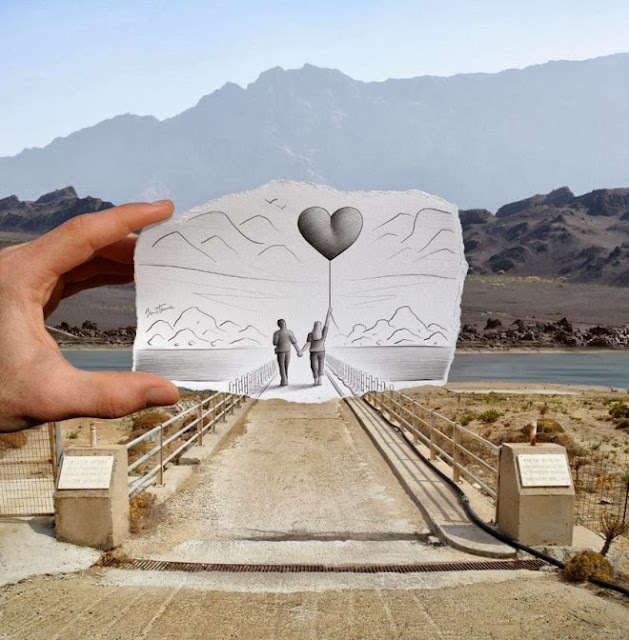 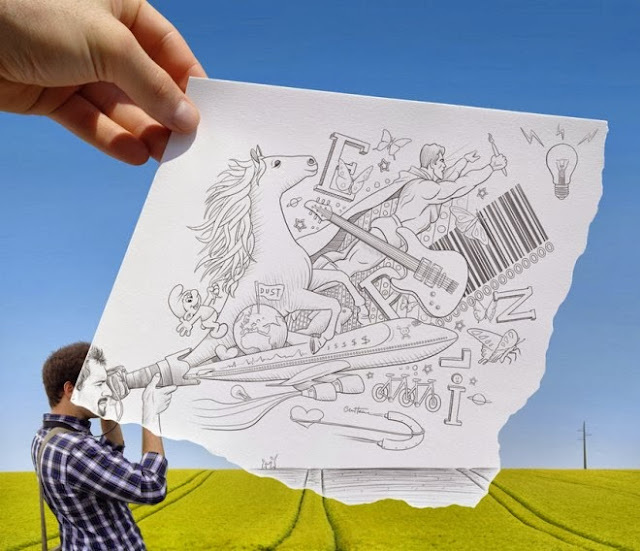 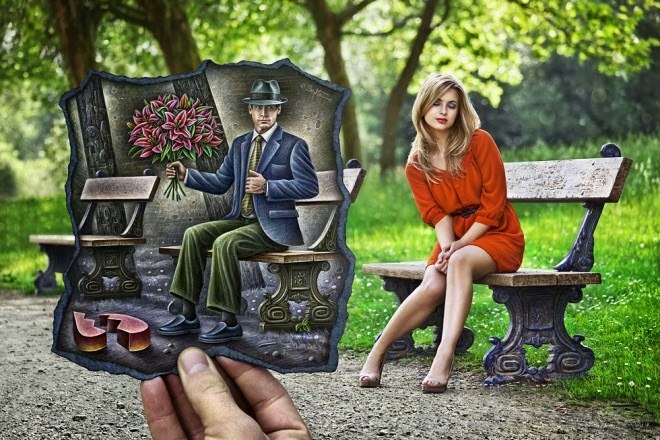 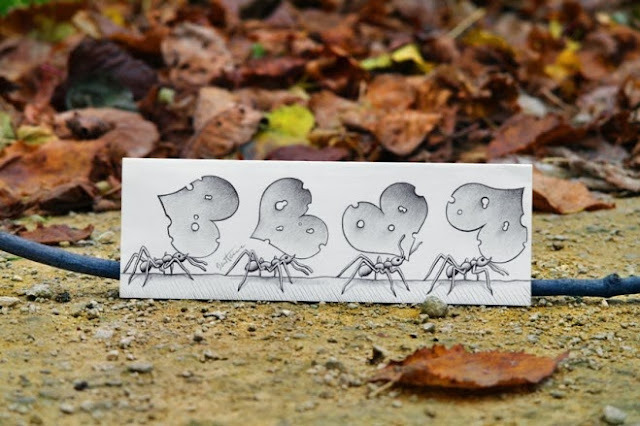 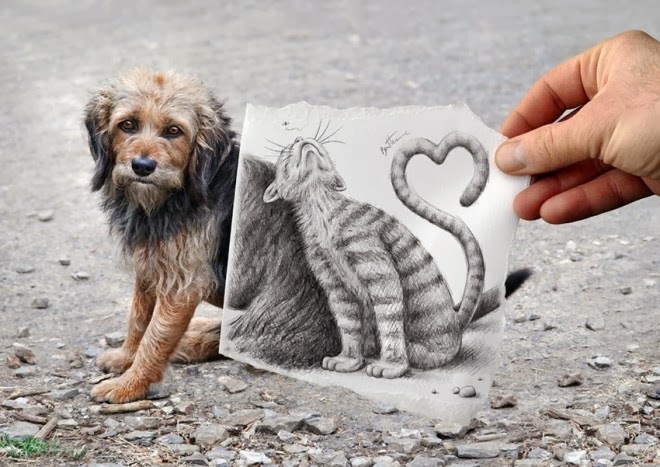 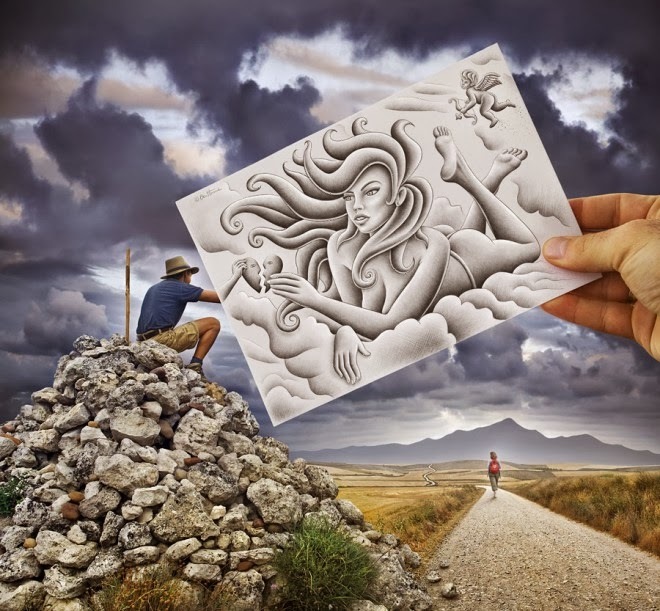 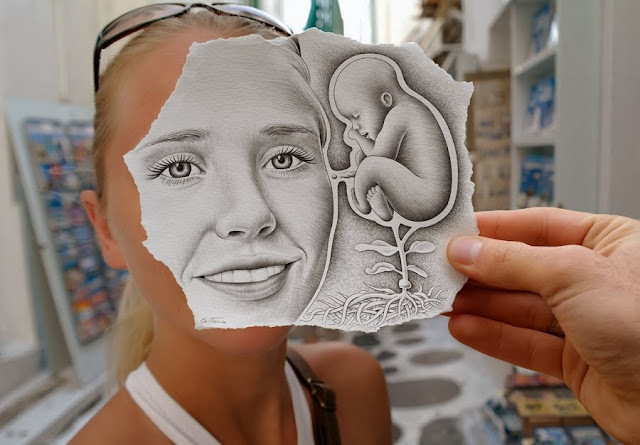 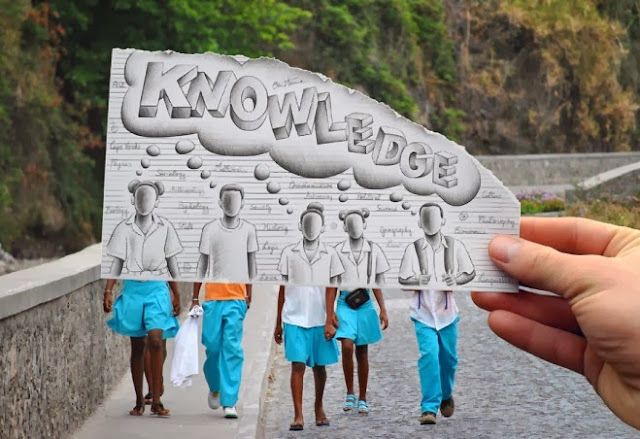 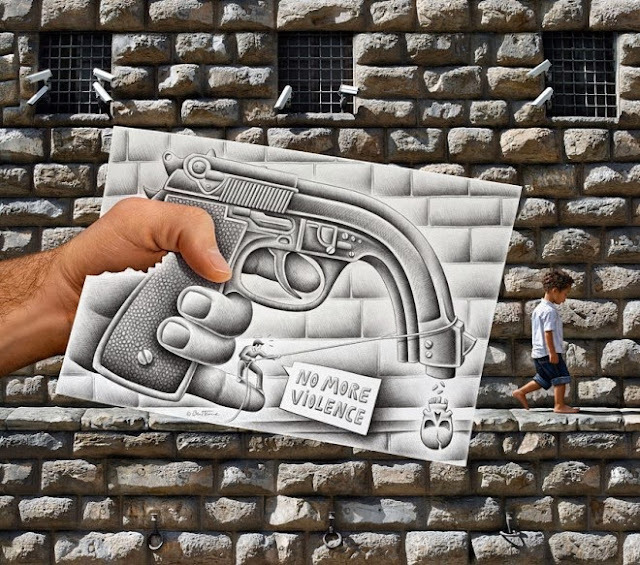 I love the art of Ben Heine who works on the principal of pencil drawing v/s camera. 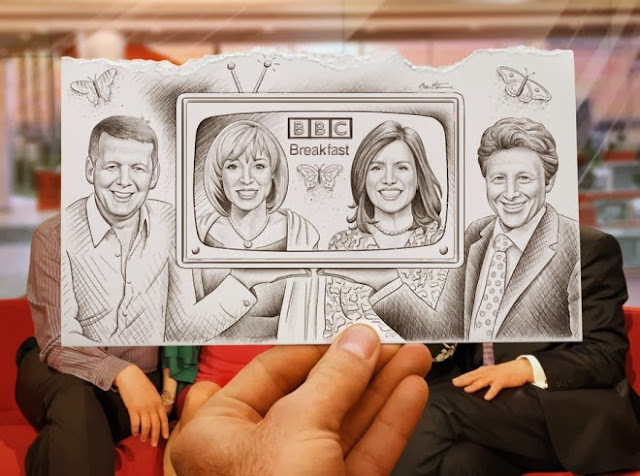 He first takes down a photograph then he overlays a section of the same photo with some photo of his own hand which shows him holding the pencil sketch over a portion of the original photo. 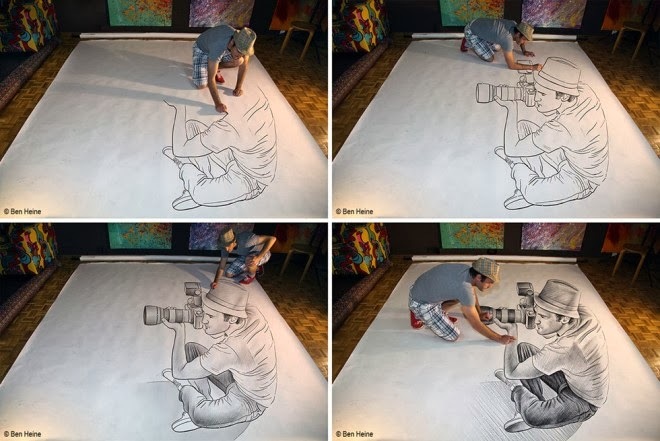 Ben , your art is truly beautiful, and soooooo creative... your are genius in art.